Georgia Pacific is located at Arrabloy (45, France). The main product produced is fluff pulp. 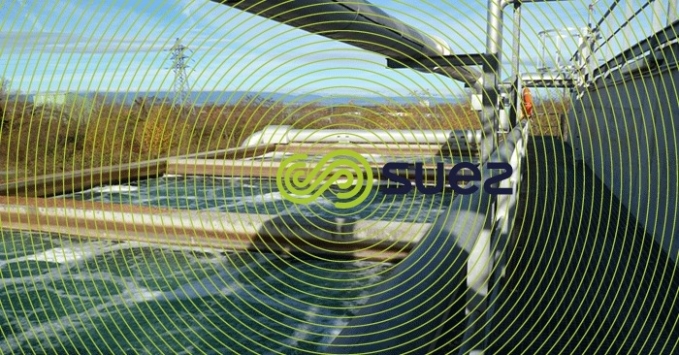 The premises is classified under the French "ICPE" (Classified Facilities for Environmental Protection) regulations and has a classification in order to governing industrial liquid discharges. To comply to the operating permit and before discharging into the Loire, Georgia Pacific had a treatment process comprised of dissolved air flotation tanks and two settling lagoons. In order to minimise its impact regarding discharges and to obtain flows which comply to the Paper & Pulp Directives, especially regarding ratios on discharged COD per tonne of paper produced, Georgia Pacific decided to be build a new treatment plant. The following data was used for sizing the our offer. Buffer tank, with a capacity 1,850 m3. This volume will allow a peak of 500 m3/h to enter for 6 hours maximum, once a week. 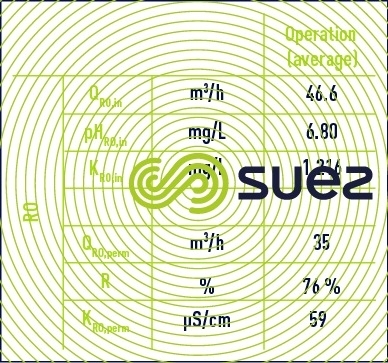 The treatment flow rate (extraction flow rate) is set at 300 m3/h. This tank is fitted with a submersible agitator/mixer or, as an option, a Tsurumi-type aerator. 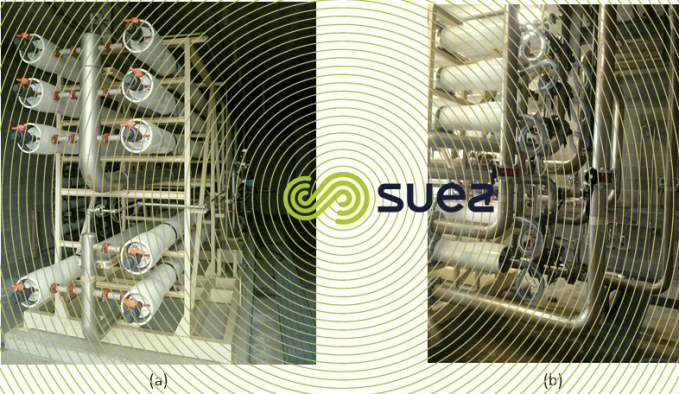 This aeration system is controlled by a redox potential in order to limit biological activity in the tank. Biological treatment using mixed cultures comprised of two METEOR® C tanks, constituting two treatment stages in series. They can be loaded with up to 30/50% of the Meteor C media. One or other of these tanks can be by-passed during maintenance operations. These tanks are fitted with an air network made in stainless steel with Vibrairs and an outlet grate also made from stainless steel. The air networks are fed by three soundproofed blowers (one is a shared emergency back-up blower). A coagulation tank fitted with a suspended agitator. A flotation tank fitted with a scraping system. A pressurisation system for the flotation tank comprising a pressurisation tank and two horizontal pumps (one for emergency back-up). A floated sludge recovery tank, fitted with a suspended agitator, a sludge extraction pump and a sludge recycling pump to send sludge to the Météor tanks. A column for possible recycling of clarified water. A coagulant tank (aluminium sulphate) fitted with dosing pumps. A phosphoric acid tank, fitted with dosing pumps. An automatic flocculent powder preparation unit, fitted with dosing pumps. A 30 m3 sludge storage tankmade from HDPE, fitted with a suspended agitator and extraction pump. Centrifugal sludge dewatering with a D2L-type, sound-proofed centrifuge settling tank, complete with automatic preparation unit and a flocculent emulsion dosing unit. A screw pump for extracting and conveying dewatered sludge to a skip located in an area for this purpose. Odour removal unit with an activated carbon tray, for treating stored sludge, the sludge skip area and the centrifuge area. The Léman Paper Mill (LPM) is part of the Bolloré Paper Division Group, world leader in the fine-grade and special paper manufacturing. Thin paper manufacture is around 60,000 tonnes/year. Paper pulp is manufactured on site using flax and hemp. The main products manufactured by LPM are cigarette paper, cosmetic paper, paper specifically for digital printing, thin, opaque paper for communication media purposes, publishing and printing. 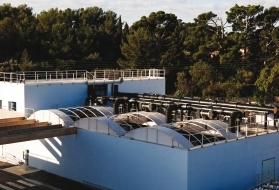 In 2004 LPM built its own on-site wastewater treatment plant on the special paper manufacturing site in order to stop treating its effluent at the Thonon WWTP. the bleaching water coming from paper pulp whitening. 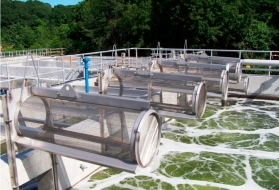 These five different types of effluent have different characteristics : the type of pollution that they contain may be organic, mineral, carbonated, nitrogenous or contain phosphorous. The size and shape of the particles contained in these different types of effluent also diverge. They can be soluble, insoluble, colloidal or suspended. This is why these five types of effluent are pretreated in different ways upstream and then are mixed together for final biological treatment. With the purpose of improving its environmental record, LPM initially mandated Granit Technologies to install its lignin precipitation system (LPS) for the lignin contained in the black liquor. This unit is a lignin acid precipitation facility for the lignin contained in the pulp cooking effluent. The LPS allows around 35% of organic matter to be reduced in the black liquor and mainly removes the non-biodegradable fraction, i.e. the lignin. The effluent obtained at the LPS outlet is called filtrate. The filtrate obtained from the LPS is treated through wet oxidation. The wet oxidation process is used to treat effluent containing a high amount of organic matter. This wet oxidation unit was the first industrial reference in France for a wet oxidation process. The wet oxidation unit uses oxygen or pressurised air (around 150/180 bars) at a high temperature (200 to 300°C) to destroy organic matter contained in the effluent. The organic matter is oxidised into water and dioxide in a pressurised reactor. The reaction takes place in five tube-shaped reactors. As oxidation of the organic compounds is exothermic, if the concentration of organic matter is sufficient, the reaction is self-sustaining. In optimal conditions this allows energy to be recovered as steam. 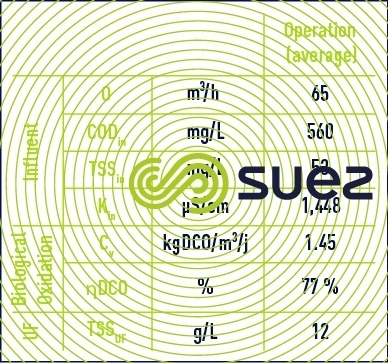 Neither harmful gases nor sludge are generated by the treatment. The reaction produces treated effluent which is compatible with biological treatment processes. The purpose of this treatment process is to remove 75% to 90% of organic matter contained in the liquor in order to be compatible with a polishing biological treatment process. The wastewater from paper manufacturing is loaded with plant fibres. Therefore it is necessary to separate the effluent and the bulky solid or particulate matter likely to cause problems to the subsequent treatment stages or to damage equipment. This screen retains bulky solid matter measuring more than 5 cm. 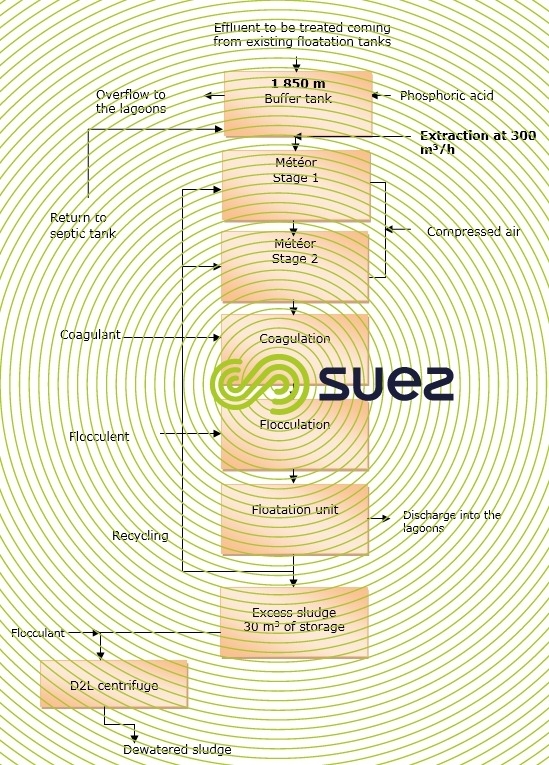 Following injection of a flocculant into the paper mill water, the effluent to be treated is sent to the clarification-flocculation tank. The purpose of this primary treatment is to trap the maximum amount of suspended matter present in the wastewater. The clarification-flocculation tank enables 85% of the portion of solids which can be settled to be removed. It also enables 35% to 50% of the COD and BOD5 to be removed. The coating water contains a high amount of minerals as well as organic matter. This type of water contains compounds such as latex and PVA (polyvinylalcohol) used during this stage of the manufacturing process. These compounds are eliminated in the coagulation/flocculation/settling stage. The supernatant is then mixed with the fibre removal water and sent to a flotation unit for polishing. Sludge removed from the settling tank is sent for sludge storage before being dewatered. Fibre removal water, as it name indicates, contains fibres coming from the removal of fibres in flax or hemp which are used in paper pulp manufacturing. Fibre removal water is treated using coagulation/flocculation/flotation techniques. Biofilters constitue the final biological treatment process for all streams having undergone prior treatment i.e. effluent coming from the OVH unit, fibre removal and bleaching water, coating water and paper machine water. Removed sludge is stored in a sludge silo. This silo allows sludge to be stored before being introduced into a trommel for dewatering. 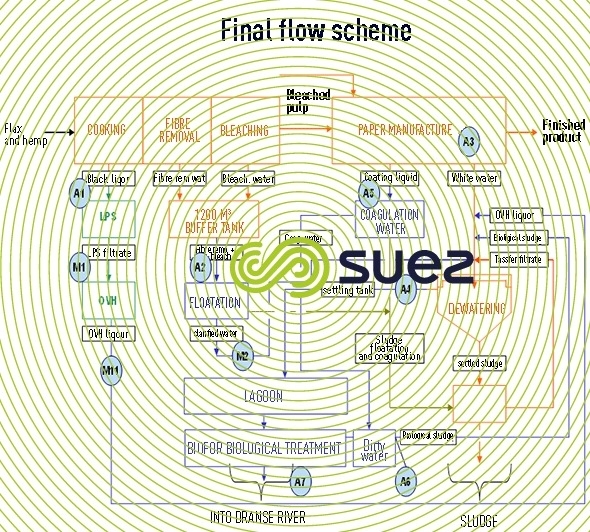 Sludge from the different types of Léman Paper Mill effluents can be recovered because difficult, non-biodegradable products such as lignin have been removed upstream. Dewatered sludge has a dry content of around 50%. It has agronomic properties due to its organic matter content. WWTP sludge can therefore be recovered by landspreading or sent to a brick-making plant. The Waste Water Reuse plant treats the wastewater from Delicarta paper mill producing a total of 120,000 tons paper a year. The paper mill can produce all the main tissue paper types: toilet tissue paper, kitchen towels, table napkins and handkerchiefs. The plant is located in a site of Tuscany (Italy), characterized by the presence of several paper mills. The strong concentration of industrial activities in the area and decades of water resource exploitation have highlighted the pressing need to reduce the pressure on the environment, thus reduce draining, i.e. groundwater withdrawals. Hence the idea of resorting to a wastewater treatment plant capable of recover and reuse the treated wastewaters. Thus, the new Water Reuse plant has been design to treat the effluent from the equalization basin, that previously was directly disposed to the municipal WWTP. 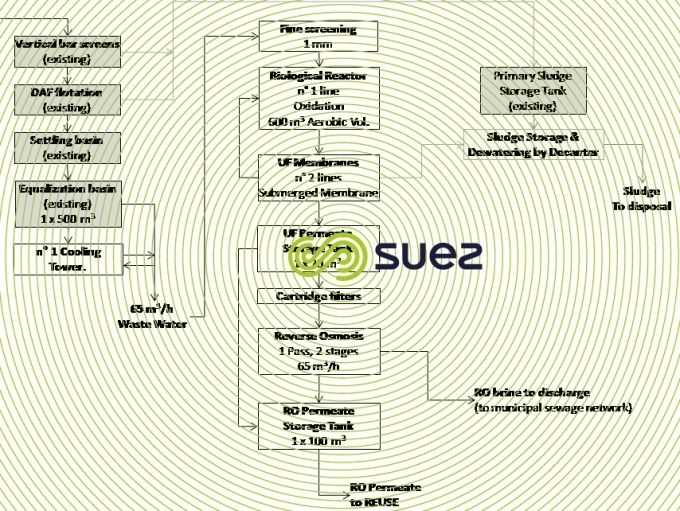 The new Water Reuse plant involves a Membrane Biological Reactor followed by a Reverse Osmosis treatment unit. RO brine is sent to the municipal WWTP. Treatment steps globally applied on the production wastewater are detailed in Figure 23, while Photo 15 presents the MBR treatment provided. 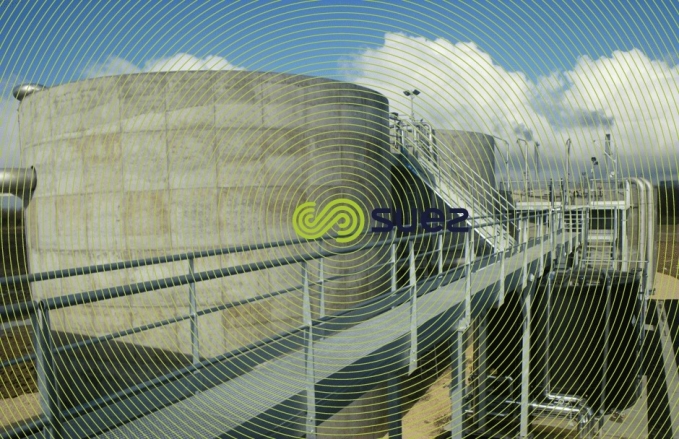 As shown in figure 23 and photo 15, the water reuse plant has been equipped with a drum screen (1 mm, hole shape) and a cooling tower, to provide further MBR protection treatments. Then the biological treatment occurs through an active sludge aerobic reactor whose prime function is to remove organic pollution ( COD ). 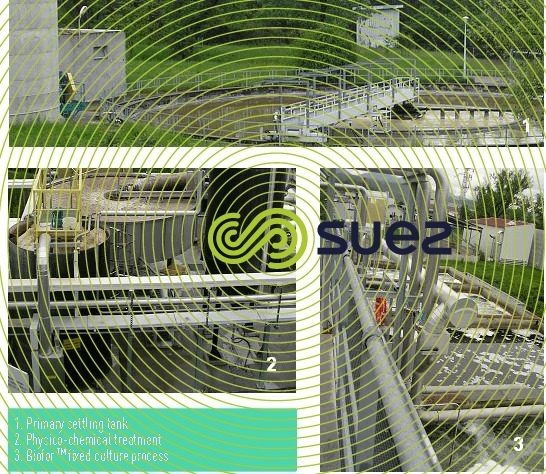 Excess biosludge stream is sent to the sludge storage basin where biological sludge and primary sludge are mixed and sent to a decanter for dewatering. Details about the operation of the Membrane Biological Reactor are presented in table 17. Operation conditions have been defined with reference to 9 month of operation. The UF section operates according to design indications. Chemical cleaning are performed with sodium hypochlorite and citric acid. Maintenance Cleanings ( MC ) are done once a week while Recovery Cleanings ( RC ) once a year. Treated water from the UF section is pumped to the UF permeate storage tank. A fraction of the stored UF permeate is extracted and fed to the RO unit, while another fraction by-passes the RO unit for RO permeate blending. RO feeding flow rate and by-pass flow-rate are regulated depending on paper mill process requirements. The RO unit (Photo 16) is operated based on reuse water needs as shows in table 18. 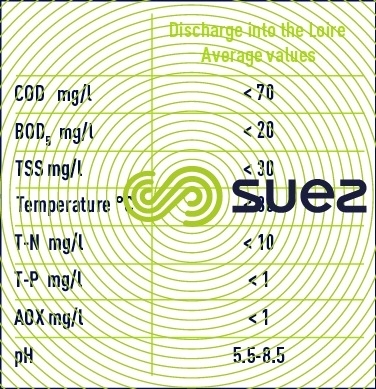 Influent pH is controlled by HCl dosage in order to decrease scaling and chemicals consumption. Various advantages derived from the water reuse plant installation. Thanks to the new treatment plant the amount of drained water has been reduced by 50%, decreasing from 700,000 m3/year to 350,000 m3/year. At the same time, also the impact on the municipal wastewater treatment plant has dramatically decreased, with a significant reduction on the disposal costs and positive repercussions on the sewage system of the Lucca plain. Furthermore, obtaining process water from the water reuse plant has decreased also the costs associated to the chemicals consumption for raw water softening, previously dosed in relevant amounts because of the hardness of the Lucca plain groundwater. 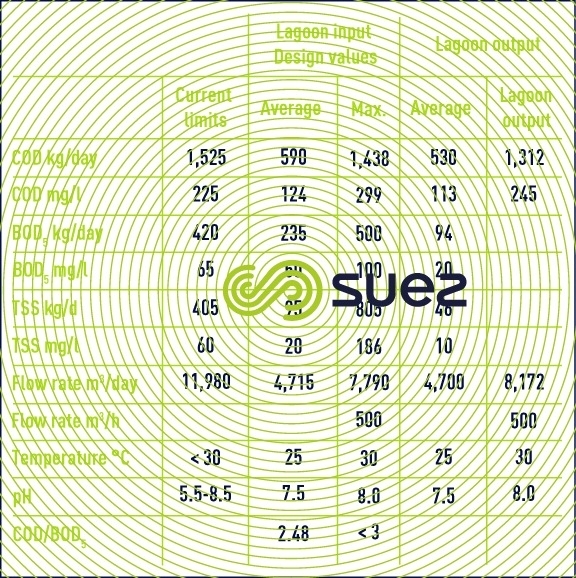 The paper production step results to be much more stable and the entire cycle is cleaner, with the advantage that some typical problems in paper production, i.e. fouling or chalk deposits of the paper machine, or even the formation of stains on the final products, can be solved. 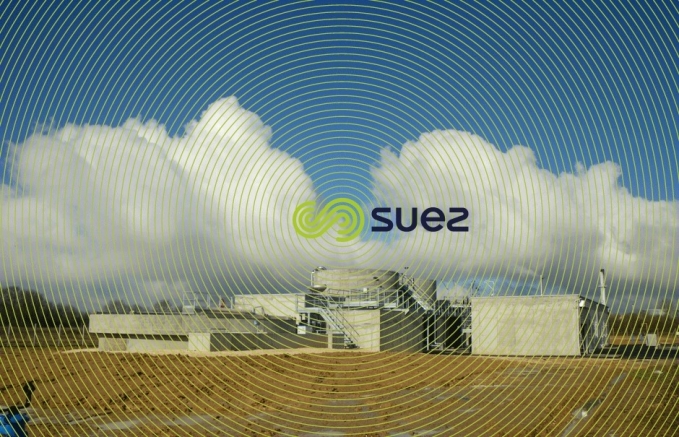 Although the water reuse plant does not consume a high energy load, it undoubtedly contributes to increasing the energy consumption of the whole site. However, its extra-consumptions are below 3% and the power increase is measurable but not so significant.